Are your AWS bills too much and you’re not sure why? Do you feel like things have sprawled out of control? 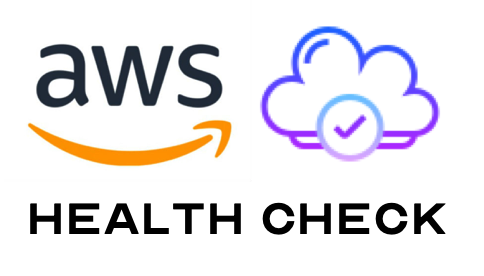 Do you have clear visibility into the overall health of your AWS account? Sneaking suspicion that something is just not right? Let’s get an objective look and make sure your account is optimized and healthy. As a cloud consultant, I’ve been helping businesses adopt cloud technology for years. Like most technology, changes happens quickly. Sometimes shadow IT sprawls out of control and before you know it you’ve got something you’re not quite sure you fully understand. I created the AWS Account Audit as a quick and painless way for businesses to understand their environment from a trusted third-party. I’m not saying you can’t trust your own people, but sometimes there’s value in having someone from the outside do the work. Have concerns with the amount you’re spending each month. Are not 100% sure about the security and reliability of your environment. Can’t visualize what’s in your environment (no diagram). Prefer to be informed about your AWS account issues, rather than live in ignorance. Appreciate objective, well-formed feedback on the health of your AWS account. The main deliverable is a comprehensive, actionable read out of your AWS account presented as a PDF report and an executive summary presentation. First, I thoroughly inspect your account with the help of an industry recognized diagnostic tool. Then I run an audit following the key points of a well-architected framework (performance, reliability, cost, security and operational health) along with considering your specific usage of AWS services. Each section contains recommended actions, which you and your team can take and implement right away. Will you review all AZ’s, regions, VPC’s, etc? AWS accounts vary greatly from one customer to the next. We’ll determine focus areas on our initial call. The base service includes review of a single AWS account and the core public cloud resources configured within. For example, EC2, S3, VPCs, Route53, IAM, and EBS volumes. The findings and recommendations in this assessment are based on provisioned AWS resources only. This assessment does not involve OS and application layers. For example, the applications running within EC2 instances. Do you provide remediation of issues found? In the basic package, there’s no actual remediation work happening. I’m giving you a punch list of high value recommendations which you can complete on your own, hire me to fix them, or hire another consultant to help. I’m busy and don’t have much time. What’s my level of involvement? Tell me about your business and quick history of AWS adoption at the initial meeting. Please come prepared with your list of concerns and be ready to share your screen via Zoom. Provide me with IAM credentials for your AWS account. Stay in touch during the process, in case any questions arise. How much does the audit cost? How long will it take? The audit currently costs $3,999. You’ll receive an actionable report described above (20-40 pages), personal consultation, and an executive summary presentation. Additional AWS accounts can be audited for $2,999 each, as long as it’s started within 30 days from the completion of the original audit. If you order right now, you’ll get your audit report within 3-4 weeks after our initial consultation. That’s way faster and more effective than waiting for a large firm to do this for you. The previous audits have generated great feedback. In fact, some clients have recouped the cost of the audit by implementing my suggestions in just weeks. 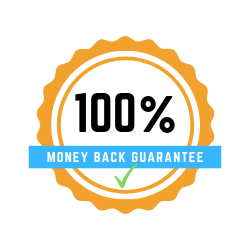 That’s why I provide a full 100% money-back guarantee on this offering. If you’re not happy with the audit results — I’ll give you a full refund, no questions asked. Please send me an email at eric@eliasinteractive.com briefly describing your business and your top AWS account problems. If you’re a good fit for the audit, I’ll send you a scheduling link for the initial consultation.